The MGM Mirage is trading 40 acres of a 78-acre parcel of land that it owns (valued at $20 million an acre) for a 50% stake in a new Las Vegas casino that will be developed by Kerzner International Holdings and Dubai World, a holding company for the Persian Gulf state of Dubai. The latter two organizations will each own a 25% share in the casino, which will be located in the north end of the Las Vegas strip not far from the CircusCircus. In past issues we noted the outstanding success of the San Diego ITEX office and their top-producing salesman Art Kaliel. This past week his 29-year-old son Jeffrey married Debra Cook in New Brunswick, Canada. Jeffrey is a lawyer with the Department of Homeland Security in Washington, DC. He served in Iraq in 2003 as an Army staff sergeant. A graduate of Amherst, he has a law degree from Yale. The bride, 29, is a presidential management fellow and project manager for the President�s Emergency Plan for AIDS Relief at the United States Agency for International Development in Washington. She graduated from Amherst and received a master�s degree in public health from Harvard. She served with the Peace Corps in Paraguay from 2001 to 2003. The U.S. Small Business Administration�s Office Of Advocacy reports that more than half of the nation�s 26.8 million small businesses are based at home. Procter & Gamble is spending $7.9 billion, or 9.9% of the company�s $76.5 billion annual sales this year for marketing, according to research by Sanford C. Bernstein & Co. Marketers are expected to spend $20.4 billion on in-store and point-of-purchase advertising in 2007, reports Veronis Suhler Stevenson, a New York private equity firm specializing in the media industry. International Monetary Systems (IMS) is a barter exchange network that makes its money three ways: 1) by assessing a membership fee, 2) by assessing a small monthly fee, and 3) by earning up to 6% of the value of a trade for facilitating it. This, he says, spares business owners from having to hunt down the guy that has the oranges. �Often, two parties don�t have a common need to trade at the same time,� he added. In a brief essay, entitled �Using Barter to Boost Audio/Video Sales,� Mardak makes the point that excess inventory can slow A/V retailers. For example, in an industry that thrives on new technology, having last year�s model taking up space on the shelf can make retailers hesitant to upgrade all of their showroom options. With IMS, integrators could provide systems installation to a chain of restaurants in exchange for, say, advertising dollars or display units purchased with trade dollars. �We believe we�re working very hard to brand IMS in much the same way eBay or Overstock.com has branded themselves,� Mardak stated. The IMS exchange is, indeed, growing. Last year they did $72 million in trade volume and revenue was $8.7 million. This year they expect to reach $108 million to $110 million in trade volume (which is computed on one side of each transaction). For more information on International Monetary Systems see �Site Sponsors� at top of page for click through. What�s ahead for the economy? How will it affect YOU personally? How will it affect the BARTER industry? Two noted authorities speak out on the two most important topics facing the world today. Just one of the 532 articles found on the BarternewsBlog. Click here. Franchisees, trade directors, staff, and representatives from the ITEX corporate management team converged in Omaha (NE) for three days, from September 14th through the 16th, at the first of their two annual regional conferences. The annual event drew a strong turnout to network, strategize and learn from professional speakers so as to enhance and grow the franchise network. Sponsored by the ITEX Broker Association Board of Directors, the theme this year is �Building On Net Growth. Speakers including CEO Steven White, VP of Marketplace Brian Argetsinger, and Director of National Sales Doug Dagenais provided information about the status of various incentives, plans, and programs. The three-day event was hosted by Omaha franchisee Ms. Terri Smieja in a professional setting at the La Quinta Inn & Suites Carter Lake. The regional conference will be duplicated in San Jose (CA) beginning October 18 for the west coast ITEX offices. 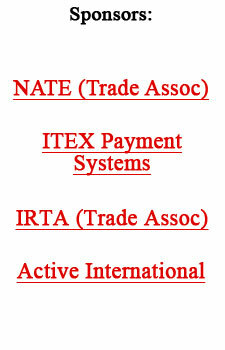 For more information on ITEX go to www.itex.com. Within the past 10 days I�ve come across two articles, both written by business women, who have voiced their opinions regarding the use of barter. In both cases they suggested it is not the way to go. Regardless of their arguments, which were rather weak (showing they weren�t entirely conversant on how to ascertain the value of a direct trade or how a trade exchange functions providing value to a member), the commercial barter industry should take such writings into account. Why? Because many, if not most, of the readers of such stories will not have any prior barter experience, and therefore will accept unquestioningly as true what they read. Is It Good To Barter? But now let�s look at her reasons why she says barter�or more specifically, contra or direct trading�is more trouble than it�s worth. �One big problem is that the various service providers almost certainly use different methods to calculate their fees. Some have hourly fees, others charge all-up for the job. This complicates the trading process. But that is nothing compared with having to tell your would-be accountant that he or she needs to work three hours at their rate of $85 per hour as a trade for one hour of your time at $275 per hour. BN rebuttal: Fees and different pricing structures for services/products become an impediment in a direct trade only when both parties are rigidly-focused on a price, rather than on the value they are obtaining. Fees are a starting point, an area of reference, but not a deal killer. For example, in the FastStart Barter Program is an example of a trade that illustrates how easy it was to turn a $5,600 trade into $11,200 retail value simply because the trader knew the other party�s variable cost to make the trade and that they desired what was offered. In a nano-second by asking the right question, the value of the trade was doubled...without an additional cost to the trader. That is the power and significance of barter. BN rebuttal: Cash may fuel businesses, but barter (new incremental business) enables you to move well beyond the constraints of the cash world. Your wealth is not tied to just the cash you or your company earns. Nor is your financial success governed solely by the dollars (or lack thereof) in your pocket...because you�re changing the method of payment. With knowledge and commitment you can harness and utilize a powerful multiplier. One ruled by ingenuity, creativeness, and the ability to perform. Barter, when used intelligently, is a powerful adjunct to a company�s operation. Contra deals, direct trades or exchanges can be the most profitable ones undertaken because there are so few limiting parameters, plus one�s negotiating abilities and business acumen play such an important role. Direct barter transactions do take more time, normally, to both find and negotiate. But the potential profits derived are more than worth the added effort. For another look at this subject see �Twelve Steps To A successful Barter Negotiation.� Click here. Coming soon: we will look at the second article that revolves around bartering through a trade exchange. The author contends there are five reasons NOT to join a trade exchange. You won�t want to miss this story.